This is third part of Using ESXi to replace ESX. I really hope I can myself clear and anyone who visit my sites would like it and enjoy the time when you are here. Please do leave comments and footprints. Thanks. After discussing about staring point and architecture, it’s time for us to install and configure ESXi. There are some tips and tricks I would like to share with you in this chapter. First of all, you need to download vendor version of ESXi (please refer to PART 2) and you should load it with your ILO or something similar. You can ask your SAN team to block HBA or move that HOST out of Storage group but in this case, I didn’t do that since it’s merely lab test server. The installation is pretty straight forward. You don’t have many choice to go. Basically, it’s either install or not. Once you get into installation, the only thing you would be offer to make choice is where you want to put your files on. As you can see, the first one is my local disk. Disk 1 is KVM adapter. Disk 2 is my Test SAN Lun. So go for local disk is what I want. I did brief ESXi partitions in last article. I will give you more details in this one. 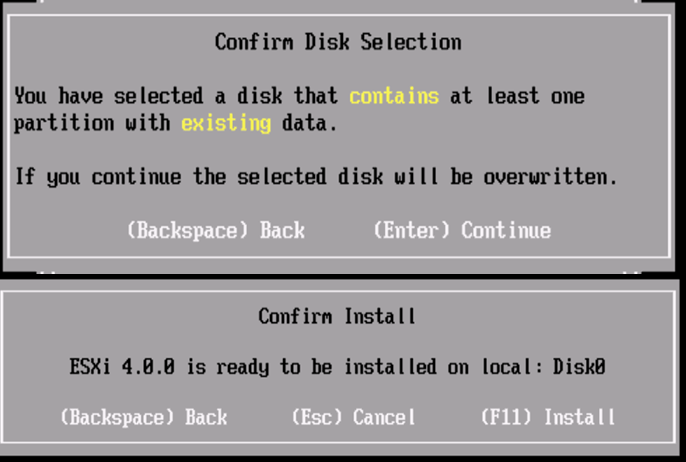 By default, the ESXi builds 3 partitions out of your local disk. Diagnostic Partition (for CPU, memory core dump, 112MB). Plus, visorfs (325.5MB) runs in-memory file system which holds /var/logs, /tmp,/etc/vmware, etc. I mentioned this picture in my last post, but this is better version. From this picture, you can clearly see which partitions are and what’s they are for. fdisk -l shows disk information. It’s all physical. 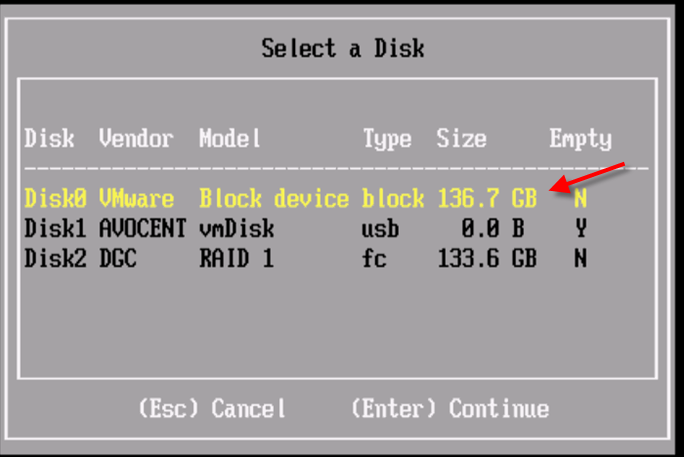 Please be aware the size of partition has been increased since ESXI4. df -h is to display file system command. Be aware the first one (visorfs) is in memory. This is only display partition list which has been mounted from file system. It’s not all current not existed partitions. This pictures indicates what has been mounted under /vmfs/volumes. Notice there are 6 mounted but only 5 of them got link files. The scratch doesn’t have link file but you can access from /scratch. Well, this is ESXi. So you don’t get any other options to choose for the rest of installation. Let’s just quick go through it. After reboot, you suppose to see this picture from your ILO or KVM. 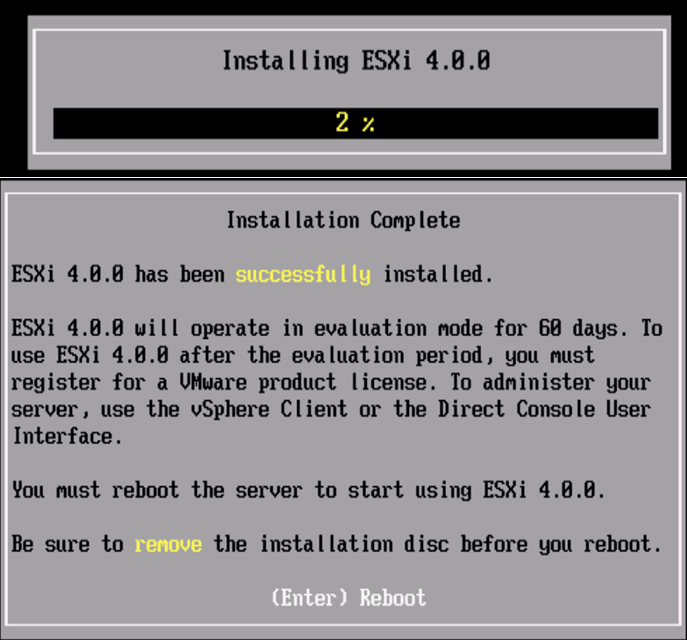 Then, ESXi installation is finished. 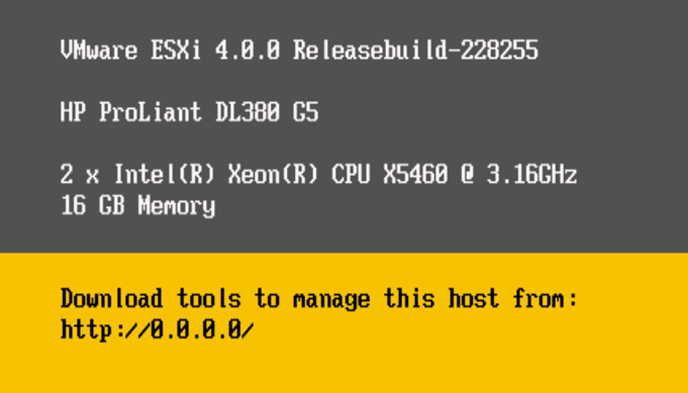 This interface is not just some quick menu of ESXi, it’s DCUI (Direct Console User Interface). I will leave it for next post. we determinedly sway you to read the whole page. Adiphene are being marketed as safe weight-loss drugs and going by the numbers so far, have turn into extremely popular.